Photo taken by Isaac Würmann in a media advance for the art installation. 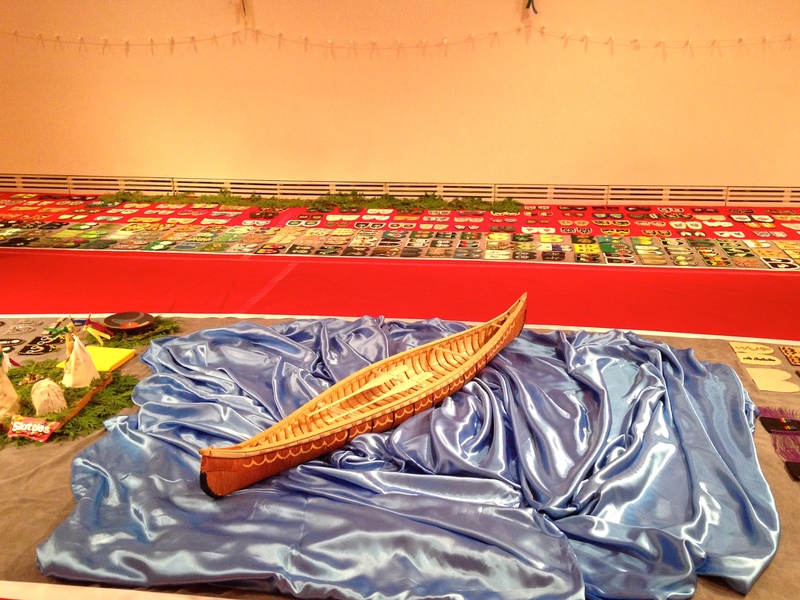 From Sept. 25 to Oct. 16, the Carleton University Art Gallery is hosting an exhibit featuring vamps – the decorated top part of moccasins – laid out on a path as though you would be walking along side these missing and murdered women as you tour the room. Walking With Our Sisters aims to use Indigenous artwork to honour and raise awareness for missing and murdered First Nations women and two-spirit people. Christi Belcourt, the woman with the vision behind the project, said the unfinished moccasins are meant to represent how the women and children’s lives were incomplete. Each one is created to represent individuals; some are decorated by family and friends, others by strangers who feel a connection to this national crisis. Belcourt said she wanted people to see a visual representation of the missing and murdered Aboriginal women in Canada and around the world. After hearing a mother’s story about losing her daughter, Belcourt said the overwhelming emotion drove her to create the concept. She reached out online to the community of people who had suffered a loss. She said she hopes that this project bring awareness to this issue and help family members cope as it tours Canada. The vamps, hand-sewn with beads, feathers, photos and names, shows people that they don’t just represent numbers, but independent and unique women. Just outside St. Patrick’s building is a teepee and sacred fire set up for participants to say a prayer for the women. Elders and volunteers stoke the fire, educating people on the issue, as well as their own traditional practices. 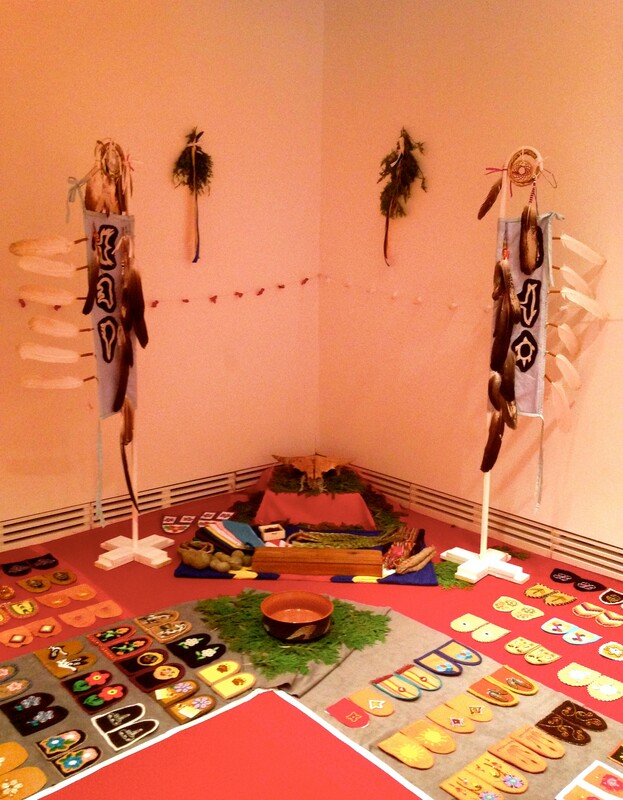 Before entering the exhibition, participants are asked to smudge – a blessing using sweet grass to cleanse the soul – and take off their shoes before they walk onto the red cloth and cedar branches. Each vamp is blessed before being placed down on the cloth using gloves. All these measures are used to make the space sacred and to bless these women and children’s souls. Belcourt designed the eagle staffs placed along the path of vamps — one to honour the missing women and the other the murdered. The feathers attached to the staffs are from family members who have lost someone near to their hearts. This memorial brings comfort to the family and friends as well as to those who feel touched by these losses.